Do you need a free schematic figure of a 3D macular OCT with labelled intraretinal layers for your work? We needed one, too. So we created one and publish it here under a Creative Commons License, so you can use for free in your own commercial and non-commercial works. The only thing we ask for is referencing this website, if you decide to use the figure. You are also allowed to alter it, under the condition that you keep the reference to our original version. 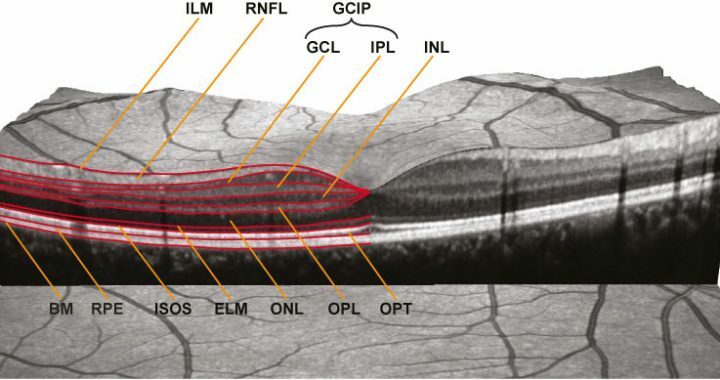 Schematic Figure – Macular OCT with Intraretinal Layers by Neurodiagnostics Laboratory @ Charité – Universitätsmedizin Berlin, Germany is licensed under a Creative Commons Attribution 4.0 International License.